Description: This one owner boat is in mint condition, has very low hrs. 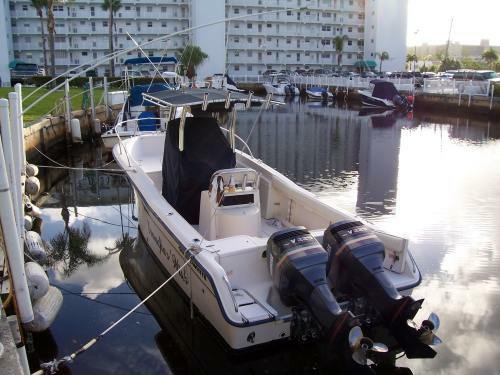 It has a T Top with electronics box and rocket launchers, ship to shore radio and stereo radio, fish finder, GPS, stand up head with masserator, extra rocket launchers behind helm seat, All cushions like new, live well, fresh water and sea water washdown. Owner must sell, moving. 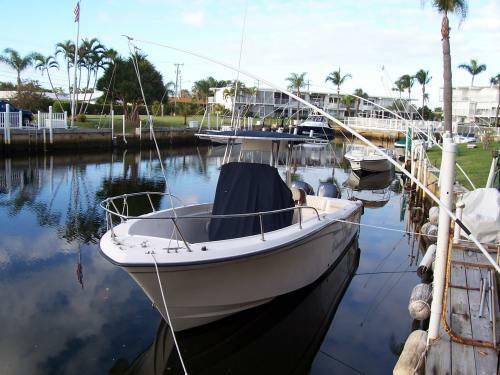 This boat has had excellent maintenance and comes with Factory Warranties on Hull and One year on both Motors.